These petite hors d’Oeuvres are refreshing, flavorful (thanks to the citrus-spiked pesto), and so simple to make. Once you have pesto sauce made, you need only three ingredients. Another variation on this theme is to add some salad greens to create an entrée salad. The pesto sauce, with a little more olive oil added, serves as the salad dressing. 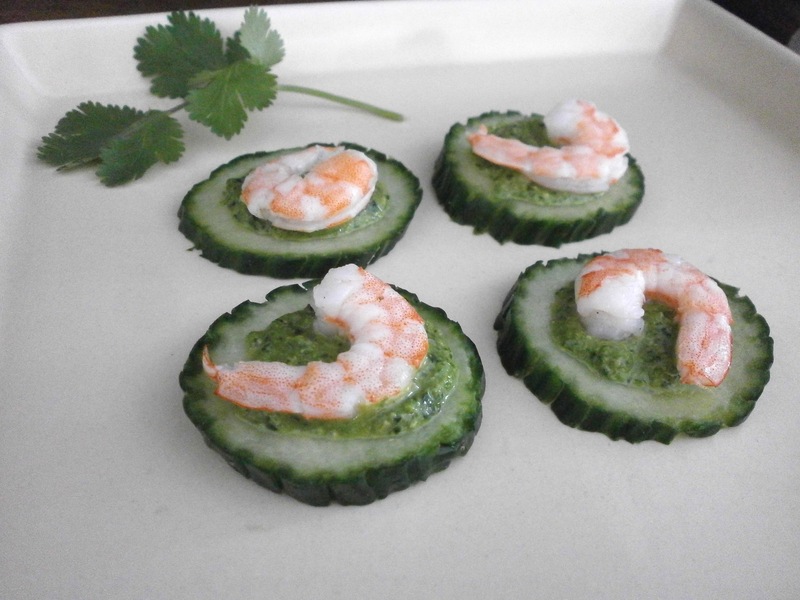 Assemble salad bites by topping the cucumber with pesto sauce, followed by shrimp. Chill and serve. 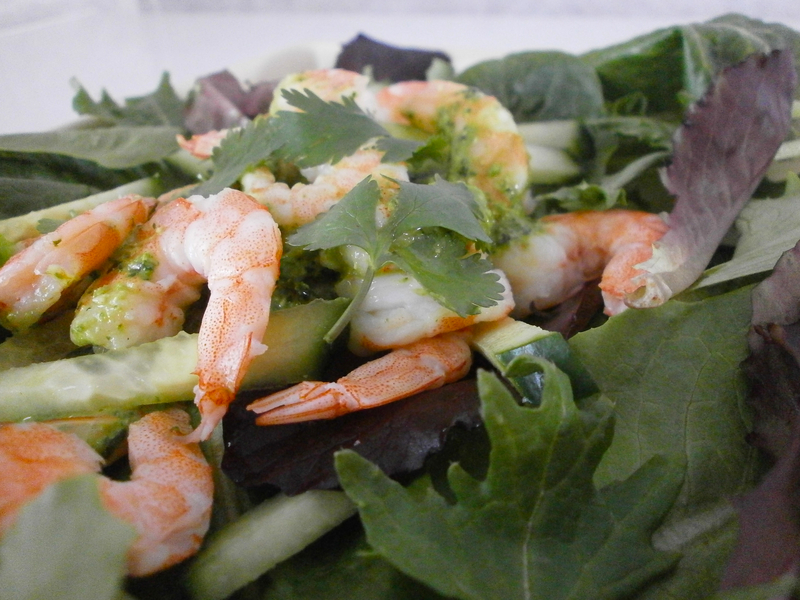 Find more great recipes at Pennywise Platter, Foodie Friday and Gluten Free Fridays. Hi Julia, thanks for stopping by Savoring Today and commenting, really appreciate that. It’s so good to find other blogs and expand community–you have a lovely site here. I like the simplicity and healthy approach to this recipe, wonderful appetizer. Thanks for your kind words. In this busy season of life, I do try to keep things simple if I can. I hope you enjoy the recipes when you get a chance to make them. Oh, these are super cute! Easy to make for parties or gatherings! Got it pinned to our Gluten Free Fridays board! See you tonight at the party! I love these – I am always looking for veg based, wheat free recipes that are heart healthy, and they look gorgeous too! Thanks! I’m glad these fit the bill! Enjoy!